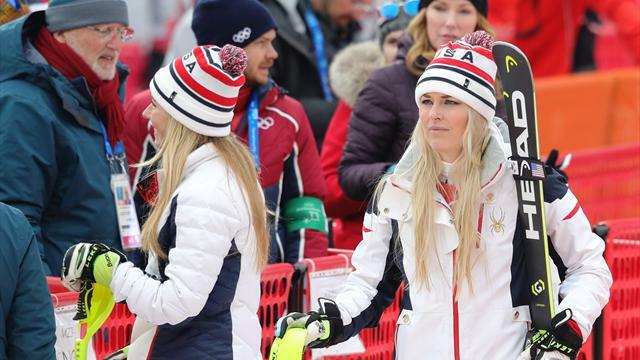 Lindsey Vonn will end her career as the greatest Alpine ski racer of all time but might one day be usurped by fellow American Mikaela Shiffrin, according to Bode Miller. But even if the former Olympic downhill champion falls just short of Swedish slalom specialist Ingemar Stenmark's long-standing record of 86 World Cup wins, former team mate Miller says she should be regarded as the best ever. Vonn has 82 World Cup victories to her name. "In my opinion she is at the very top. You can make a lot of different cases for a lot of different athletes and her case is strong," four-time world champion Miller, who will be analysing the Are championships for Eurosport, said. Slalom specialist Shiffrin was tipped to win a stash of medals at last year's Winter Olympics in South Korea, but only managed one - in the giant slalom. "This isn't swimming, this isn't track and field - you are dealing with a lot of variables and a lot of small margins," the 41-year-old said. "It seems like Mikaela doesn't lose a lot of races due to her own mistakes. She is in a really good place and in my opinion will come away from the World Championships with a lot of medals, at least three."